Do I need the top tube middle cable housing guide? I have an 83 trek 600 series in the stand with lots of rust veins and some minor pitting. There's quite a bit under the middle cable guide that I'm having trouble clearing out. Will I miss the middle guide if I cut it off? will the rear brake cable flap around too much? TIA. Also, any recommendations for small bottle of touch up primer? I have several square inches to touch up and probably want something with zinc in it? If a tire pops and no one is around to hear it, does it make a noise? Self etching primer, then nail polish, bring the bike in to test. There's quite a bit under the middle cable guide that I'm having trouble clearing out. Will I miss the middle guide if I cut it off? There are things you would miss if you cut them off. That isn't one of them. However the style police might not take too kindly toward it. Most of us here would advise against cutting anything you don't have to. Once cut it isn't replaceable easily. ^True but the Colnago guides are spaced a little differently. I lived without a middle guide on one of my bikes for a little while (foolish repair stand incident). The cable didn't always sit straight on the top tube but it wasn't much of an problem. Still if rust is your issue, cutting off the guide isn't really a solution. You'll probably need to sand away and repaint the affected area, and that doesn't require removing the guide. Cut off all three and use clamp on guides. 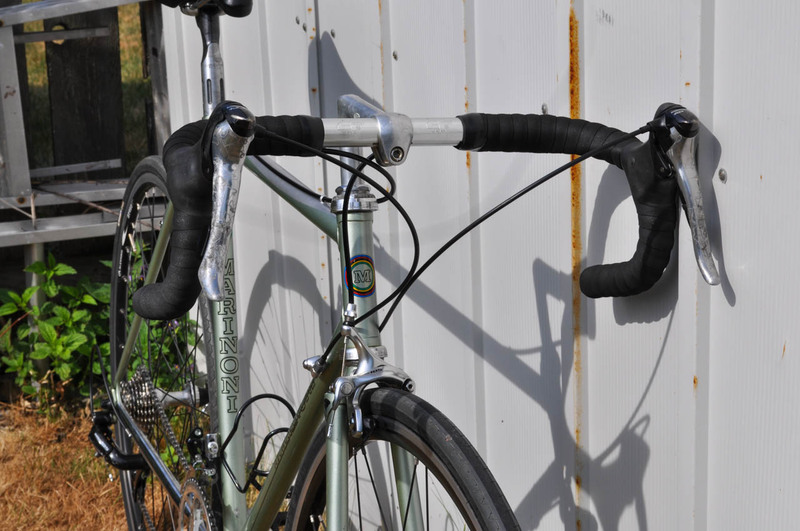 I faced this very dilemma when I had my Panasonic modified; I had a frame builder remove all three guides, clean up the rust, and replace two of them with cable stops. You just peel of the paper backing (like you would with a press-on wall hook) and attach the guide to your frame to replace the one that's missing. I haven't tried them personally, but they're reasonably cheap & seem like they'd be worth a try. This. I don't think I'd ride a bike with a tie wrap to hold the cable. Tangential post: if considering braze on bits for a frame "refresh", spec stainless steel wherever you can. The additional cost is insignificant to anyone outside of a production frame manufacturer, never having to deal with rusty bits, priceless. Be careful using threaded bosses, however. Stainless steel screws on stainless steel bosses can easily gall. I've found that Locktite 242 will give enough lubrication during installation to prevent galling, guards against loosening, and the screw can still be removed. I had a Marinoni that someone had knocked the center guide off. The cable housing had a distinct curve that was irritating. I had a bike with rusty cable guides. 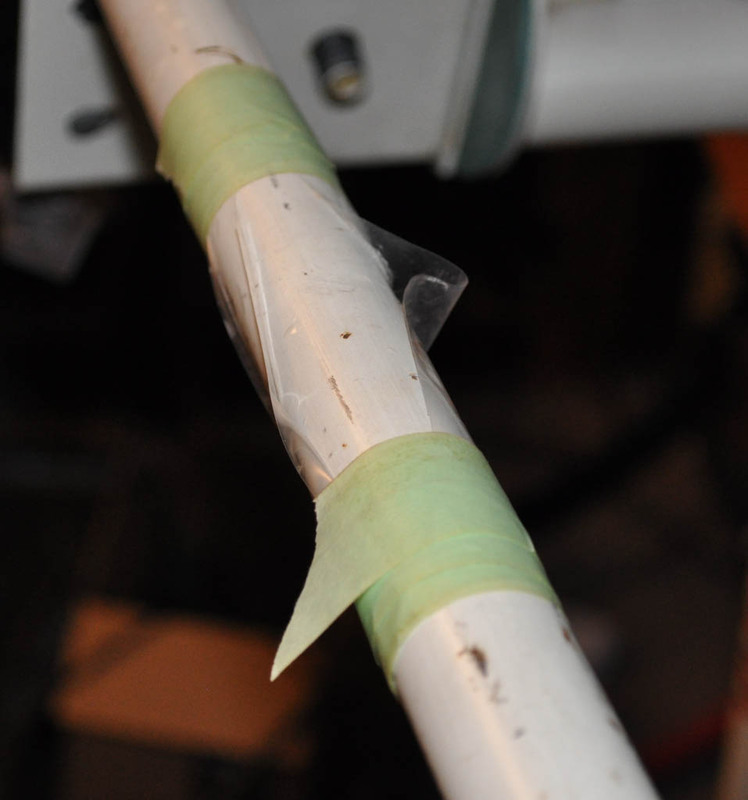 I turned the bike upside down and wrapped some plastic around the top tube at the guide. I left just a bit of slack so I could insert an eye dropper. Put a drip tray under it and put EvapoRust in the plastic for a couple of days. Worked great. Even with the spacing being different on the Colnago, the cable housing will still bow to one side. It is a bit irritating to me but that is part of the charm of the brand! Will you miss it? Yes, ever time you look down you will realize it use to be there! Lots of options presented to satisfy nearly every perspective one might have.